Central Michigan Construction, Remodeling and Building Restoration. Excavation and Site Prep services are an important aspect of any construction project and generally the first construction crews on any job. 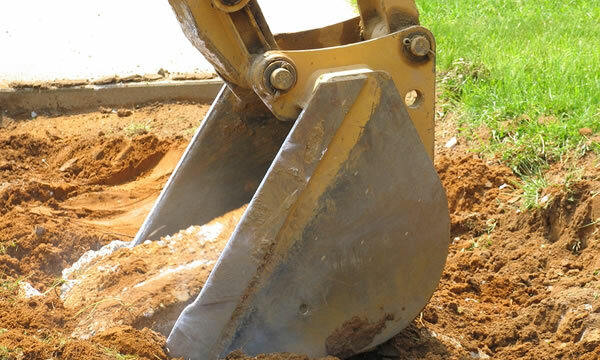 Hubble Construction and Restoration can service all of your excavation and site prep needs for both residential and small size commercial building projects. From clearing and preparing lots to digging foundations to engineering and installing septic systems we can complete any excavation or landscape project within the state of Michigan. Our Excavation work is completed by knowledgable and experienced professionals using our own equipment. Depending on your location we can trailer in our own Backhoe or Skidsteer. For larger projects we sub-contract with some very competent operators who can complete almost any size excavation project related to a residential, commercial or even light industrial project. Extra care will be taken around your property so we won’t leave behind the typical mess that many companies leave behind. We’d prefer you never knew we were even there aside from the work we’ve done.